When placing a bath in your bathroom you want it to look neat, tidy and stylish. As you probably know your bath is mounted and under it is where you find all the plumbing, not a sight you want to put on display. The plumbing under a bath is definitely not worth putting on display, it’s unsightly and ugly and will completely ruin the design of your bathroom. This is why it’s essential to have bath panels in place. These panels hide the ugly plumbing and fit perfectly to your bath, offering you that neat design you were hoping for. The great thing about bath panels is the various sizes they come in, if you can’t find one that is an exact match, they can be cut down to size, fitting in perfectly and giving a side to your bath. There are different sized bath panels available, one for the elongated front section of the bath and then one for the end of the bath, if it is on display and not surrounded by a wall on three sides. Bath panels are easy to install, they can be done quickly within an hour or two and can make a huge impact on how your bath fits into your bathroom space. The next advantage when it comes to bath panels is the colour options available. Many people go for a white, lets face it, many baths are white and if you want a light and bright bathroom, then you want to choose a light colour. Some bathrooms benefit from a focal point, a centre piece and you can do this if you have a freestanding bath, for example. 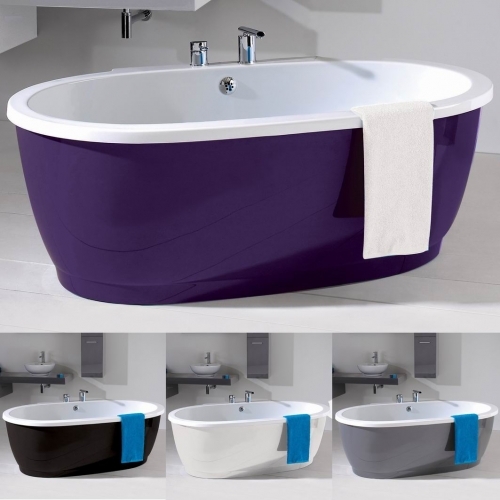 Finding bath panels in bright purple, black or even red can make a huge impact in your bathroom, giving it a “wow” factor. Sometimes you want to keep everything natural. I’ve found this in a choice of bathroom designs where they are trying to create an indoor and outdoor flow. Imagine a huge wall of glass with a bath placed near the glass, you obviously want to welcome the outdoors into the bathroom and bath panels in wood can help you achieve this. Wooden bath panels also add some texture to your bathroom design. Even smaller bathrooms can benefit from a wooden toilet seat and wooden bath panels. Just be sure you choose a light wood that doesn’t overpower the room.